Of late there have been innumerable technological advancements which have transformed peoples’ lives and led to entirely new products and services. In healthcare, technological innovations such as mobile apps, wearables, and chatbots have helped people to be in-charge of their health. Today they have become more health savvy. From microscopes in the past to adoption of electronic medical records, technology has driven the success of healthcare in many ways. Though there are many drivers of technology, the emergence of Artificial Intelligence (AI) has led to applications which are now having a profound impact on peoples’ lives. With its ability to process data in a speedy fashion, AI is revolutionizing the healthcare sector world over. According to experts, AI will be a key enabler for both the transformation and the disruption of the healthcare ecosystem. The term artificial intelligence was coined in 1956, but it has become more popular today, thanks to increased data volumes, advanced algorithms and improvement in computing power and storage. John McCarthy, the father of artificial intelligence, describes AI as the science and engineering of making intelligent machines, especially intelligent computer programs. It helps humans to amalgamate human intelligence with computer technology to enhance the potential of the healthcare industry to serve better. In the US and other developed countries, the use of artificial intelligence in the medical and healthcare sector is revolutionizing the industry with artificial intelligence being used in several practices such as diagnostics, personalized medicine, the development of drugs, and continuous monitoring and care of the patients. 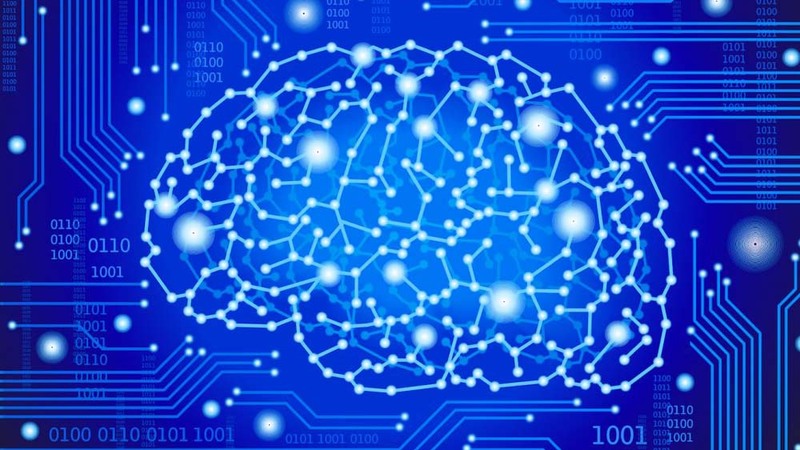 Companies are also partnering to draw upon clinical insights and expertise in the field to bridge AI applications to imaging informatics solutions. Such initiative will harness the power of AI to enhance the imaging and informatics healthcare solutions. According to experts, artificial intelligence in the healthcare sector has maximum usage in the personal health & nursing assistant application. World over, the adoption of personal health and nursing assistants has witnessed a robust growth, over the recent years. In India, as healthcare solution providers are looking out the way to achieve the maximum productivity and efficiency, AI can impact on a more constructive level. It is particularly important for Indian healthcare providers to leverage this technology as the country is facing a serious health crisis due to growing burden of diseases and poor doctor-patient ratio. Further, the ever-growing reach of broadband Internet and smartphones gives India ample opportunities to bridge the healthcare gap. With a combination of new technologies like AI, Internet of Things, and Big data, India can bring a new generation of healthcare solutions which will be a game changer for the sector. One of the major challenges the country facing in the healthcare sector is the prevention and treatment of diseases such as diabetics, cancer and heart diseases, the number of which are rapidly growing. According to World Health Organization, 69.2 million Indians suffer from diabetes. As detection of diabetic retinopathy (DR) is a major challenge for doctors, AI technology can help doctors collect images of retina of diabetic patients and then run them through machines which can quickly scan the images and arrive at a collection of data.AI specialists can derive a pattern from the data and write algorithms to detect the dormant signs of the disease, ensuring an early diagnosis and prevention of the disease amongst diabetics. Similarly, optimizing the clinical process is considered as the most basic and efficient use cases of AI. Usually, when patients feel ill, they go to the doctor, who checks their body functionality, asks questions, and gives a prescription. AI assistants can now take charge of a large part of clinical and outpatient services, freeing up doctors’ time to attend to more critical cases. Likewise, AI can benefit India immensely as we have only 10,000 Radiologists and 130 crore people to scan. The technology holds the potential for improved diagnosis and helps radiologists report cases with more accuracy. This would help in detecting and containing the disease at an early stage. Another feature of AI is it can help decentralization of diagnostic testing through AI based diagnostic technology. With AI, diagnoses can occur in real-time, and provide higher levels of accuracy that too at an affordable price. Experts are of the view that rapid diagnostic tests, through the aid of AI enabled technology, have had a significant impact on screening for malaria and HIV. These are only a few scenarios where AI can play a pivotal role in prevention and treatment of diseases. As access to intelligent and smart technologies can enhance the productivity and improve healthcare outcomes, it is high time that healthcare providers must embrace this ubiquitous AI technology and help the country to overcome present and future challenges facing the nation. For healthcare solution providers, there are always opportunities to benefit from the positive changes that technology brings. This article has been authored by Chander Shekhar Sibal, Head of medical division, Fujifilm Medical. Interesting Read. It will indeed be greatly beneficial when healthcare providers in India can leverage AI technology to help early detection, prevention, and treatment of diseases like diabetes, cancer and heart ailments.